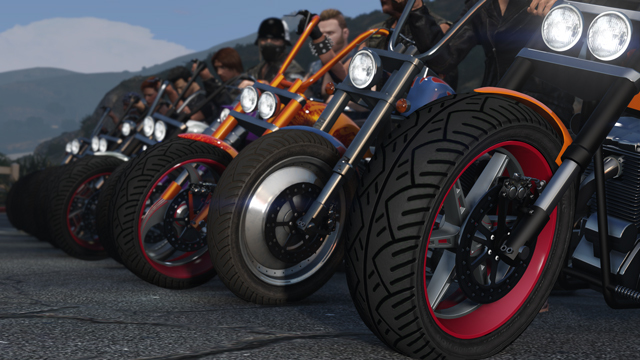 You'll soon be able to officially form and lead your own motorcycle club in GTA Online. Rockstar has announced that its upcoming Bikers update will allow up to eight players to roll around together and wreak havoc on two wheels. Bikers will introduce new roles to play from fresh Prospects to club Presidents, alongside what Rockstar is calling a massive slate of new competitive and co-op gameplay. There will be a range of new motorcycles, properties that include MC Clubhouses with a special custom Biker mechanic, and venues for seedy business ventures. Bikers will also include a selection of appropriately-themed new modes for bikers of all kinds, along with new weapons, styles, tattoos and features. A release date for the update is yet to be announced. In related yet slightly less official news, the visually tantalising Grand Theft Auto 5 Redux mod is available to download now on PC. Redux has been years in the making, and overhauls the game's single player campaign with a completely rewritten weather system, massive upgrades to textures and visual effects, and some gameplay tweaks for good measure. You can see the full list of changes here, but the best way to appreciate the mod is to watch the trailer below. According to the mod’s creator Josh Romito, you need to be able to run the vanilla game at a decent frame rate in order to achieve optimal performance with the mod, and a frame drop of around 5-15 fps compared with the vanilla version is to be expected. The mod is a 4GB download, although further texture updates will likely expand that to 6-7GB.